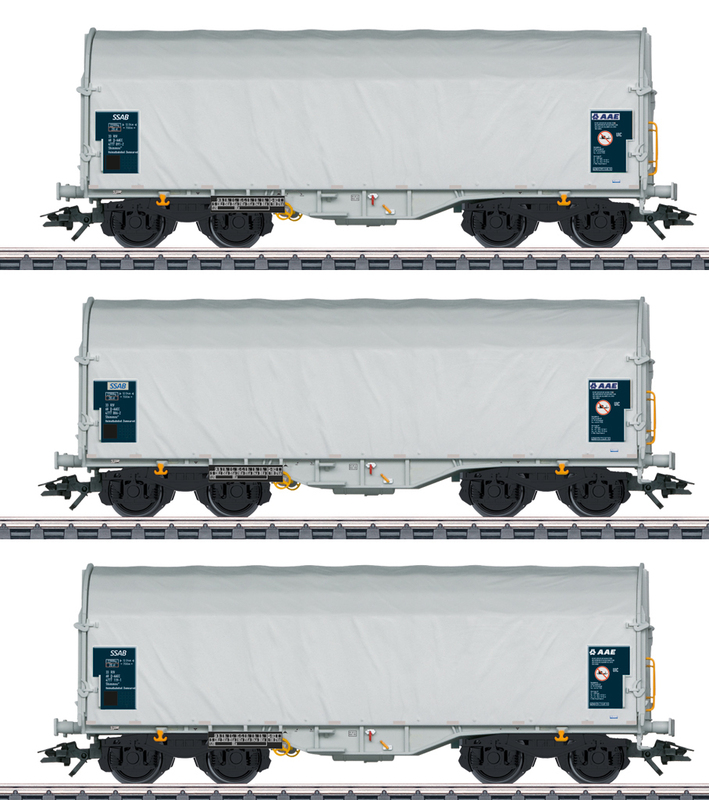 Prototype: Three type Shimmns 62 short, four-axle sliding tarp cars for the firm AAE, leased to SSAB Tunnplat AB. The cars look as they did around 2015. Model: All of the cars have closed tarps. The trucks are the modern type Y25Lsd1 with double brake shoes. All of the cars have different car numbers and each is individually packaged. There is also a master package. Length over the buffers per car approximately 13.8 cm / 5-7/16". DC wheelset per car E700580.